Having gained immense experience in the field of accounting and related subjects, DNS Accountants do understand the importance and the need for transparency in accounting. Keeping your satisfaction level from our services as a priority, we, at DNS, have come a long way from 2005, serving more than 1200 of our respected clients, and have gained recognition and reputation in all of the UK. Serving our clients with accounting, tax planning and consulting services, we do ensure to provide with the best of the experience. Ensuring a blissful and hassle-free service to our beloved clients always is one of the major objectives our company works upon. Having a large base of experienced accountants in Southampton and other locations, our services remain intact in terms of quality. Specialising in the fields of Limited company accounting, tax advice, tax investigation and planning, accounting solutions and consultation, we ensure you that all our staff and partners, here at DNS, are people well-versed in the subject of accounting, having immense knowledge, with great experience, resulting in the highest level of services to be received by them. Saving your tax as well as money by all the regulations and compliances being followed, we do not let down your hopes which you lay upon us while investing for our services. With the aim of maintaining the reputation our organisation has built over the years, we do not disappoint you with any kind of service we provide you with. Southampton is regarded as the largest city in Hampshire. It is situated on the south coast of England, about 121 km south-west from the city of London. This city has produced huge and renowned companies who are huge and significant employers in all of England. The University of Southampton, BBC South, Southampton Airport, NHS, ABP and Carnival UK are few of those major companies. Southampton has always remained a port for decades. It forms one of the major ports in the UK. The famous RMS Titanic is associated with this port city as well. Cruise ships of all kinds have its port situated in this city. Thus, its docks have always been a great employer for the city people. The first five decades of the 20th century in Southampton only lived with the port industry largely. However, the last five decades of the 20th century took a major turn in producing various other kinds of industries in the city. The industries that gained such importance are aircraft and car manufacturing industry, petrochemical industry, cables and electrical engineering products. In terms of business, Southampton has remained a great location for any person to start-up and be prosperous. This port city contributes to the economy of England on a large scale. What all do we help you with in Accounting Services? Tax Advisory services are having great demand in today’s world. However, various tax accountants of different organisations fail to achieve the desired object of a company. However, with DNS, you can now get custom made solutions for taxes, thus, reducing your liabilities and taxes by the required period, with the assurance of regulations being followed. Tax accountants in Southampton and other locations in the UK have seen a rapid growth in demand in the past decade. Small business do not require much of the accounting depth and consultation. However, every business aims at profit maximisation and reduction in taxes and costs. There always remains a need in Southampton for accounting and finance even for small businesses. Thus, Southampton accountants, as well as accountants of other cities,have adapted to the situation by evaluation and analysis of the market structure. Hence, we can now find various small business accountants in Southampton, as well the whole of England, serving various small businesses in the country. IPSE is the abbreviation for Independent Professionals, and Self-Employed Association, wherein freelancers, contractors, independent professionals, entrepreneurs and consultants from every sector of the economy in Europe come together to act and perform on behalf of all the private and independent businessmen to grow and prosper. Becoming a member of the IPSE derives great advantages for a company in the private sector, since it provides with various benefits, both in monetary and non-monetary terms. Thus, we at DNS Accountants, complete all the required activities to be undertaken to be a part of the largest independent professionals association in Europe. With our services, we ensure to cause no troubles in obtaining membership in the IPSE. 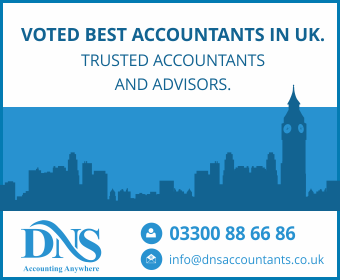 Though many accounting firms in Southampton provide with accounting and related services, DNS Accountants has always been the preferred organisation for accountants in Southampton, since we, here at DNS, always cater to your needs and requirements by ensuring quality service by the hands of skilful professionals. Ensuring to maintain our reputation and respect for our clients, we always make it a compulsion to never let down our clients in any of the services from us they opt for. Ensuring the best advice regarding taxation and accounting, our professional staff and partners ensureto always improve your business, opening various portals for it to achieve a greater level of prosperity and success.We are extending our accounting services to Bristol & Reading.